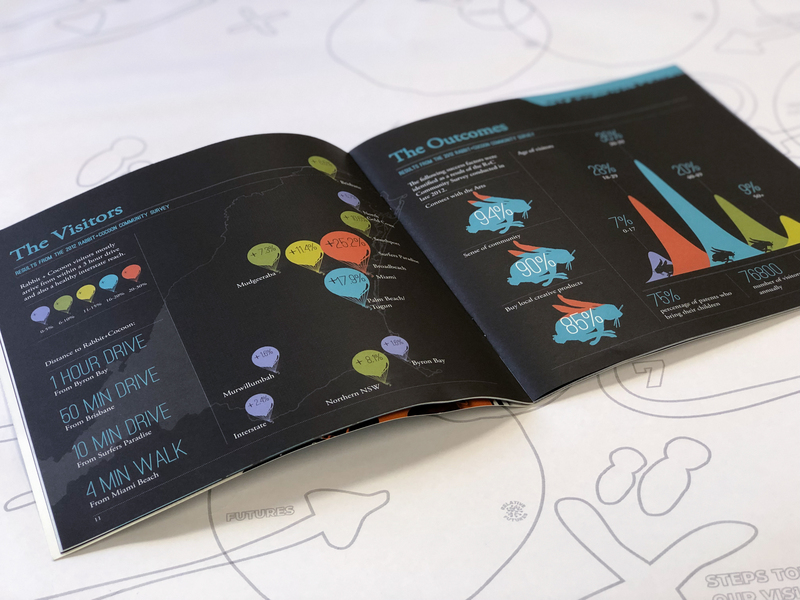 Based on the Gold Coast, Australia, Rabbit + Cocoon was a creative precinct that provides spaces and resources for motivated people to run creative practices, businesses and events that that contribute towards the cultural ecology of the Gold Coast and beyond. 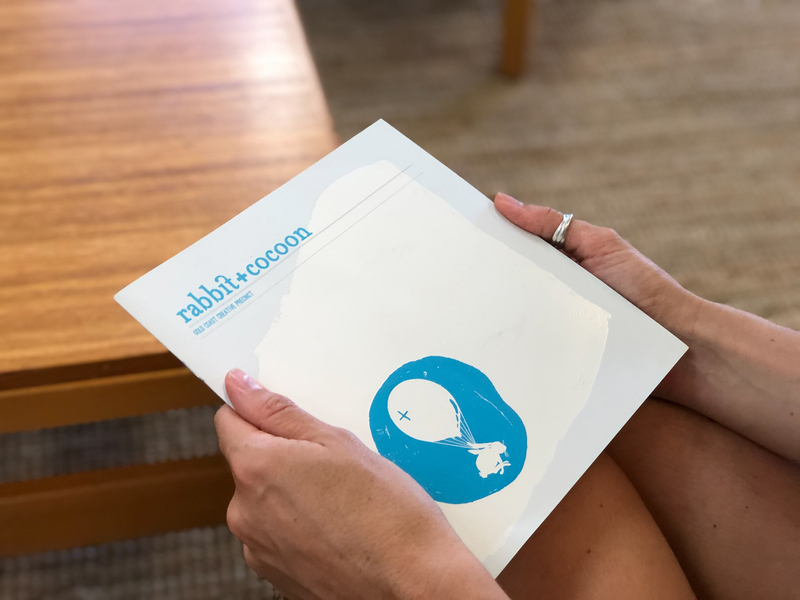 Rabbit + Cocoon was a Not-for-Profit managed on a voluntary basis by three Co-Founding Directors Emma Milikins, Jolie Hertzberg and Mariam Arcilla. 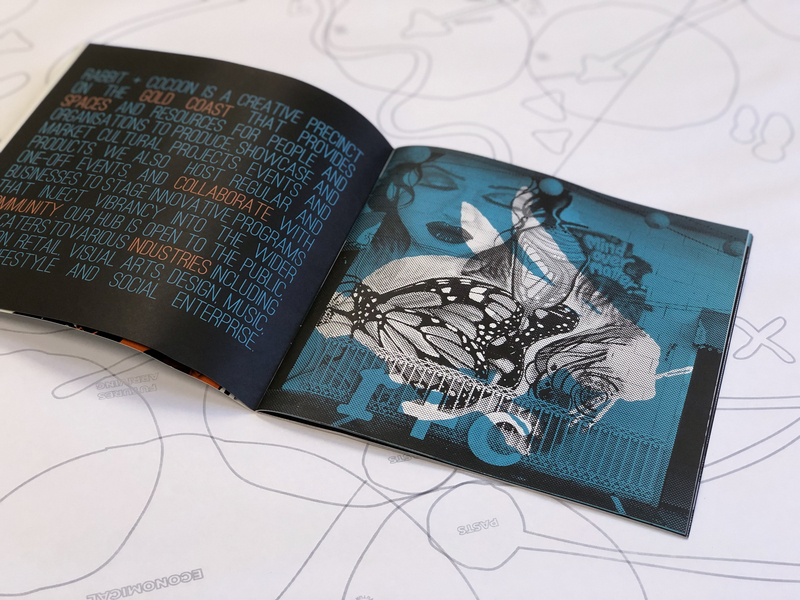 Not only was Relative Creative previously based out of Rabbit+Cocoon, but Tristan was an active participant on the board, where the collective conceptualised the wave of social and cultural change that the precinct provided. The Rabbit+Cocoon Manifesto shown here represents everything that Rabbit + Cocoon stood for. The visual language reflects the nature of the precinct: A place where craftworkers, designers and musicians mix with strategists, academics and entrepreneurs on a daily basis.